We Solve Check Engine Light Mysteries! The Hamburg Garage in Whitmore Lake, MI is your local check engine light repair expert. We'll get you back on the road and back to worry-free driving in no time. Bring your check engine light to us first, before any other shop "takes a stab at it." Our team performs precise engine and trouble code analysis with all of our check engine light repairs. The initial solid check engine light is your engine's first warning sign. While it's not the time to panic, responsible drivers get their lights checked out as soon as possible. If vehicle owners wait too long, the solid check engine light will start to blink. This is an emergency! You should drive directly to The Hamburg Garage so our technicians can diagnose, fix, and even reverse any costly damages. Check engine light repairs are handled quickly and accurately. We don't want you wasting time and money with any other repair shops. You need correct answers and repair solutions and we have plenty of both. Bring us your check engine light repair have eliminated, along with any repair needs. When your check engine light pops on, an internal clock starts ticking. The faster you act, the quicker, easier, and affordable any repair needs will be. But that's the worst case scenario. Your check engine light could be triggered by almost anything. So at the very least, come by to find out what's going on under the hood. Your service need could be anything from a gas cap tightening to transmission repair or replacement. The Hamburg Garage employs ASE Certified techs who use state-of-the-art diagnostic tools to correctly diagnose your engine's issue. Continuing to drive with a check engine light can do extensive damage to your vehicle. What started out as an early alert will eventually turn into an emergency service need. Your vehicle can end up on the side of the road if you delay professional attention for your check engine light. 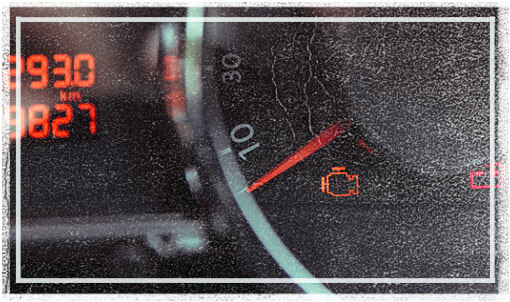 The dashboard light gives you enough time to schedule an appointment and bring your vehicle to The Hamburg Garage. Believe us, driving your car to our facility is much easier than having it towed in. Our ASE Certified techs are on standby waiting for any emergency calls for check engine light repairs. It never has to get to that point though! As soon as your dashboard lights up, make us your Whitmore Lake area go-to repair facility. Give us a call to schedule an appointment to get your check engine light analyzed. If you don't have your phone handy, you can schedule your appointment online. Just pick a day and time and we'll meet you here!